The country is finally on the cusp of radical change: getting a law that will make those who govern us accountable. With the Congress-led United Progressive Alliance (UPA) all set to move a revised version of the Lokpal Bill, 2011, in Parliament today, we are just a step away from it becoming law. Since it has already been through a parliamentary standing committee, in the normal course of things, the new legislation to fight corruption should be a shoo-in. Unfortunately, this is not true. Key provisions (which officially are still under wraps) are turning out to be a point of contention between the UPA and the opposition, led by the Bharatiya Janata Party (BJP), on the one hand, and the government and activists led by Anna Hazare on the other. The discord is on the future of the Central Bureau of Investigation (CBI), the apex investigative agency. This is understandable given that impartiality is critical in investigating errors of commission and omission in public office. The BJP formula, contained in the dissent note included in the standing committee report on the Lokpal, seeks to split the CBI’s investigative and prosecution powers. The Hazare team is insisting that CBI be brought under the purview of the Lokpal. As a result, the battle lines have been drawn and all sides are digging their heels in. In other words, unless either side relents there is a good chance that the latest effort, first initiated years ago, would be derailed or, at the least, not fructify in this session of Parliament. This would be very unfortunate. The onus is on the UPA. Not just because it is the coalition in charge, but also because it has to overcome a huge credibility deficit. Making a case for a business-as-usual approach on CBI would only reinforce these sentiments and suggest that they are not really serious about ushering in a new era. 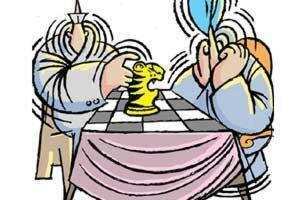 The UPA may well succeed in putting the blame on the opposition for failing to clinch the opportunity. That is beside the point. It should instead worry about disappointing the country once more.